Here is the Siset020 Stamp Set mentioned in Poll-1. Do you like what you see? Aren't these stamps gorgeous? 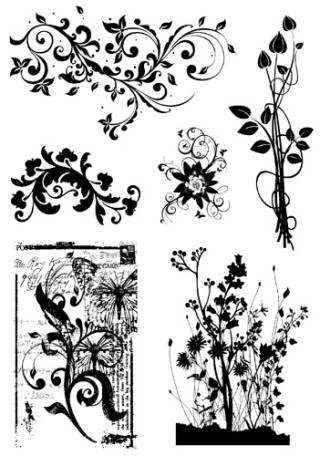 This swirly botanical Stamp Set was the FIRST featured stamp set here on PaperCraftCentral.com. I was so impressed with these stamps I used them a lot. The stamps at the bottom were just the right size for ATCs. 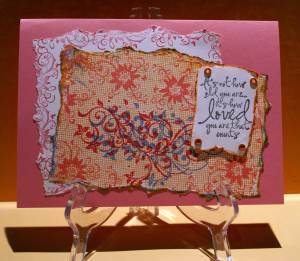 The scrolls and flourishes were sure versatile and I used some partial images in some of the featured projects below. This set is now retired though.That doesn't mean you can't be inspired by the way they were used, right? 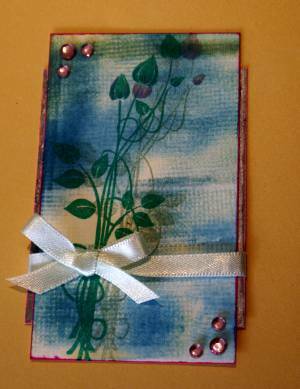 Check out the way these or similar stamps create images for you and see some ways you could use them below. 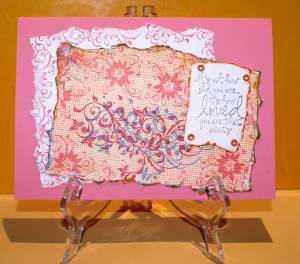 I think Stampin' Up! stamps like Touches of Texture, Dragonfly Dreams, Awesomely Artistic, and Timeless Textures would look fabulous with these techniques. After sending out a poll to you in 2009 all about which of four beautiful stamps set you wanted to see featured here on PaperCraftCentral.com and getting the results, I was busy stamping for you with your choice of set. 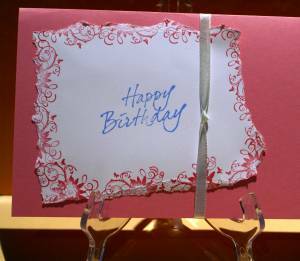 I made you some birthday cards and ATCs to show you how pretty the stamps were when you used them. 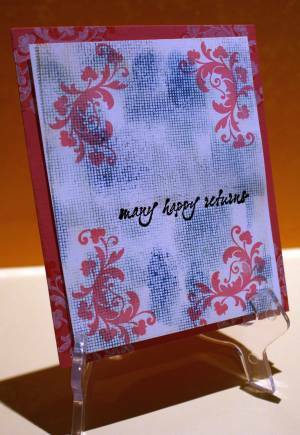 I made some backgrounds with my brayer and then stamped over the backgrounds to make most of the featured items you see below. I added some pretty brads and pearls, a tear here, some ink there, tied them with my favourite ribbon at the time and voila! I had a whole lot of pretty special things to share with friends and family. I hope you liked the example projects. Thank you to everyone who participated in Poll-1 to let me know which stamp set was most appealing at that time. I no longer feature any stamp sets but Stampin' Up! ones these days on PaperCraftCentral, but I still occasionally get taken by a stamp set from another company. Isn't it wonderful to have all the choice we have these days?